I played along with this Taylored Expressions Sketch Challenge. I really am having fun with sketch challenges. Can you tell? Linda what a cute card! 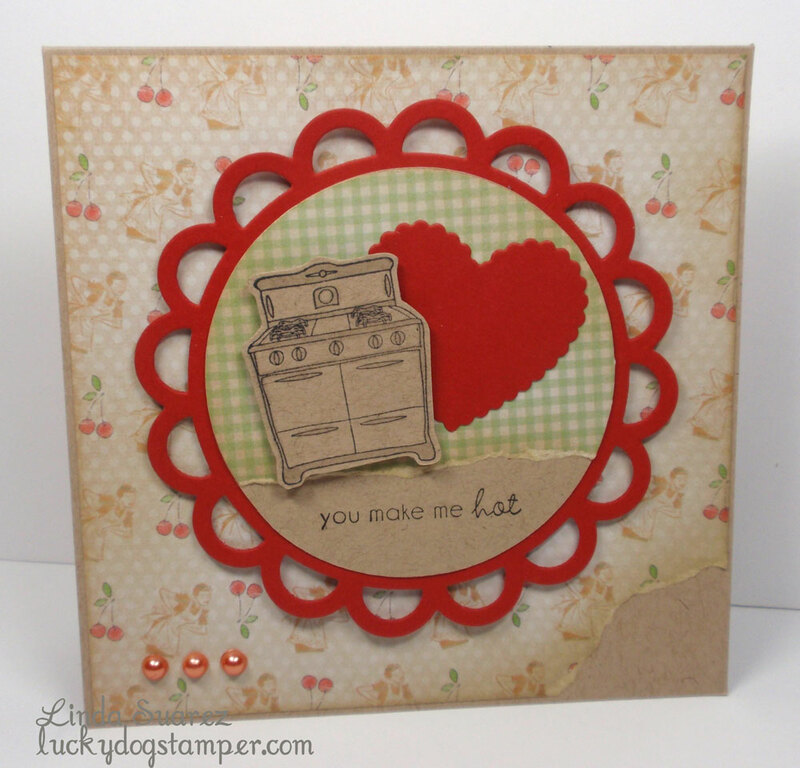 I love the stove! And the bling in the corner makes the center pop!! Have a great weekend! How cute is this? What a fun Valentine! The red just pops off your card. I absolutely love your take on the sketch. Thank you for joining TESC sketch challenge!